Donnie Darko is a movie that I could describe but you would just wonder what I just said. Donnie Darko is one of my favourite movies and you need to watch it! Donnie Darko is a story about Donnie who survives a freak accident. After this accident he befriends a giant bunny called Frank that only he can see. Frank tells him the world will soon end so Donnie becomes interested in time travel to try and stop it. The story ends when it becomes full circle and the accident that Donnie evaded in the beginning actually kills him in the end. Of course a lot of other stuff happens in between but to really understand you need to watch it as it is so weird and so complicated. When I first watched Donnie Darko I was perplexed by what happened. There were moments where I was shouting at the TV in frustration and shock. This movie will terrify you as well as captivate you and make you want to watch it again and again. This movie is amazing! It has such an interesting storyline and the acting is brilliant. Frank will creep you out to no end and you will want to repeat watch this movie just to notice all the things you missed the first time. The storyline is hard to follow the first time so I recommend googling the film after you’ve watched it to really understand what happened. Donnie Darko is definitely one of those movies everyone has to watch at least once, but then again, no one will be able to watch it just once! Drop whatever you’re doing now and go watch it! I promise you won’t be disappointed. 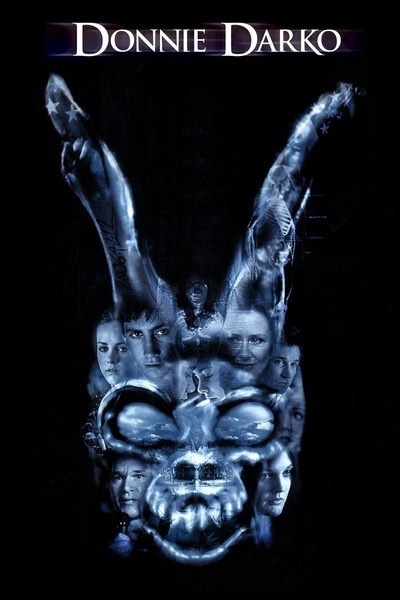 What do you think of Donnie Darko? When I first watched Donnie Darko I was blown away. Simple yet complex story telling, great acting all round (Jake Gyllenhall really comes of age in this film) and beautifully shot. Time travel always messes with your head if you think about it too much but this one did a good job of it, closing off the circle and allowing you to not worry about it for too long. A perfect movie.